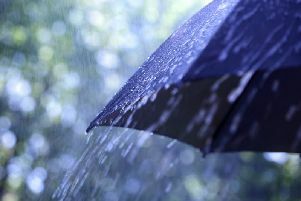 The Met Office has sent out a ‘be prepared’ warning as more heavy thundery showers are set to batter Sussex. The whole of Sussex has a yellow ‘be aware’ warning with the east of the county now on amber alert to ‘be prepared’. The amber alert is from 6pm today until 6am tomorrow (Thursday June 23), while the overall yellow alert remains in force from this evening until early Friday morning. The Met office says that increasingly warm and humid air arriving from France later today (Wednesday June 22) will brings with it a risk of thunderstorms. These thunderstorms are likely to occur in a couple of main waves, from Wednesday late afternoon or early evening into early Thursday and a second wave breaking out later on Thursday. Where thunderstorms occur, torrential rain and frequent lightning are expected, as well as a chance of some hail - 30mm or more of rain could fall in an hour and locally in excess of 50mm is possible in two or three hours. Once the wet weather passes the current forecast is for most of Friday to see plenty of sunshine which is due to carry on at least until the start of next week.